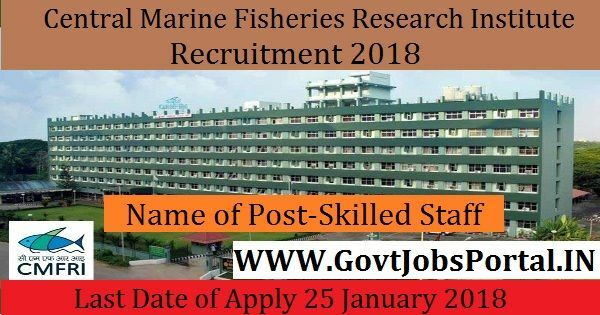 Fisheries Research Institute Recruitment 2018.
in the same post. Read the whole article carefully before applying. Computer in any Subject form a recognised University. age 18 years & maximum age 40 years. What is the CMFRI Selection Process job?